at the SC Awards Gala, held in conjunction with the annual RSA Conference in San Francisco. SC Magazine readers that are high-level IT security executives (CISOs, CIOs, VPs, etc.) working for organizations across various markets, including finance, health care, government, education and more. “We are thrilled to be recognized by SC Magazine readers, as it highlights our commitment to provide business anti-malware solutions that are easily manageable while remaining very effective. in each category to cast votes. This panel represents a cross-section of SC Magazine leadership, which is comprised of large, medium and small enterprises from all major vertical markets, including financial services, health care, government, retail, education and other sectors. Functionality, manageability, ease-of-use and scalability of the product or service, as well as customer service are considered during the judging process. as the finalists have to demonstrate the unique combination of strength in product, organization and fight against cybercrime to secure the vote of our readers. Founded in 1992, ESET is a global provider of security solutions for businesses and consumers. The Company pioneered, and continues to lead, the industry in proactive threat detection. ESET NOD32 Antivirus holds the world record for the number of Virus Bulletin "VB100” Awards, and has never missed a single “In-the-Wild” worm or virus since the inception of testing in 1998. 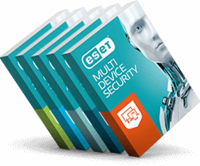 ESET NOD32 Antivirus, ESET Smart Security and ESET Cybersecurity for Mac are trusted by millions of global users and are among the most recommended security solutions in the world. The Company has global headquarters in Bratislava (Slovakia), with regional distribution centers in San Diego (U.S.), Buenos Aires (Argentina), and Singapore. ESET has malware research centers in Bratislava, San Diego, Buenos Aires, Prague (Czech Republic), Krakow (Poland), Montreal (Canada), Moscow (Russia), and an extensive partner network for 180 countries.